Year over year, scoring is up, but we’ve seen a very notable downward trend within 2019 that could continue this weekend given that Week 17 tends to have a preseason-esque randomness thanks to the mixed motivations of each team. As CSURAM88 mentioned on the Week 17 edition of The Action Network NFL Podcast, running back is a hard position to figure out for the slate. 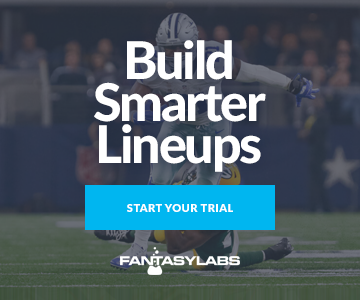 Right now, the three running backs who stand out most in the FantasyLabs Pro Models are playing in games with little to no postseason implications, but they are all roster-able at their salaries and seem unlikely to have significantly altered roles this week. UPDATE (12/30): Right guard D.J. Fluker (hamstring) is questionable and left guard J.R. Sweezy (foot) is doubtful. Neither practiced this week. 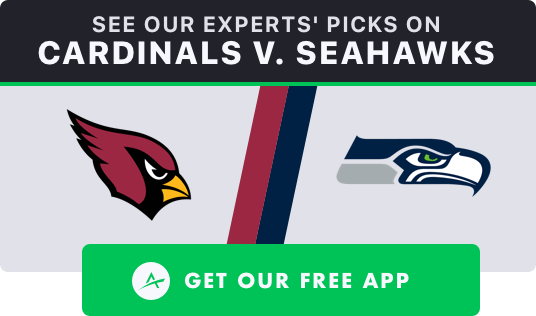 Carson is a guaranteed prize pool-only play given that the Seahawks are locked in as a wild-card team and might elect to rest some players, but Carson should still be in consideration: The Cardinals have every motivation to lose in order to secure the No. 1 overall pick in the draft, and the Seahawks could play to win in order to improve their playoff positioning. If the Seahawks win, they’ll have the No. 5 seed, which will give them a road game in the first round against the Cowboys, whom they beat in Week 3. If the Seahawks lose, they could fall to the No. 6 seed, which would give them a road game against either the Bears, whom they lost to in Week 2, or the Rams, whom they lost in Weeks 5 and 10. The Seahawks should want to face the Cowboys in the wild-card round, so they might not treat Week 17 as a de facto bye week. The Seahawks lead the league with their 52.3% rush rate, and since returning in Week 11 from a hip injury, Carson has been one of the most productive backs in the league on a per-game basis. 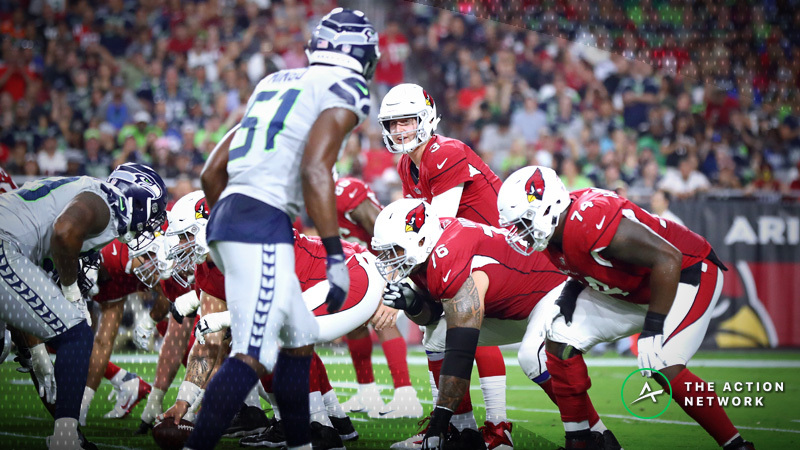 The Cardinals have allowed a top-three mark of 27.7 FanDuel points per game to opposing backfield, and thanks to the run-heavy game scripts they afford to opponents, the Cardinals have allowed a league-high 414 carries, 2,011 yards rushing and 18 touchdowns on the ground to running backs. If Carson sees his regular usage, he could have a big game. He also has an elevated floor: He’s yet to score fewer than 12 FanDuel points in any game over the past six weeks. Carson is the No. 1 FanDuel back in the Bales, Koerner, Raybon, SportsGeek and Freedman Models. The over/under opened at 49.5 points but has crept up from there, with 54% of the tickets and 84% of the bets on the over. 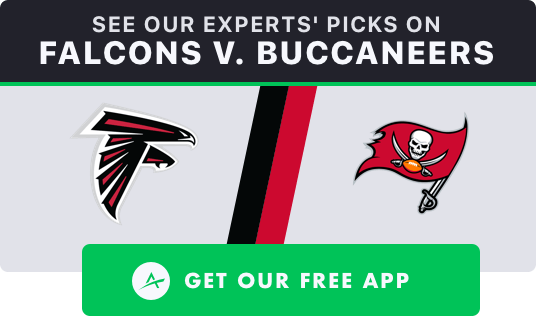 In a week that could see some low scores, Bucs-Falcons has a slate-high 72.98 pass funnel rating. 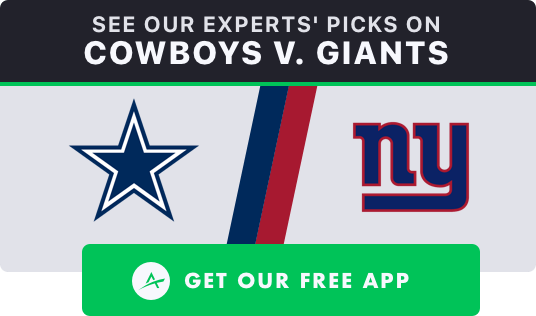 Unlike most divisional matchups late in the season, this game has significant shootout potential. Despite playing as the lead back for an offense that ranks first in the league with 4,784 yards passing, second with 366 first downs and third with 6,215 scrimmage yards, Barber has scored 15-plus DraftKings points in just three of 15 games this season. Of all the starting backs in the league, he without question has been the stone-cold worst. But even with his mediocrity and inconsistency, there’s room for optimism with Barber. He’s played 55.1% of the team’s offensive snaps and gotten 67.9% of the backfield opportunities. Even with all the playmakers the Bucs have, no player on the team has more scrimmage touchdowns than Barber with six. Second-round rookie Ronald Jones returned to action in Week 13, but he’s no threat to Barber. Over the past month, he’s turned four carries and two targets into just one yard. For the season, Jones has an average of just 1.9 yards per carry. Barber hasn’t exhibited a great deal of talent in his NFL career, but of all the backs on the Bucs roster, he’s been the most productive. 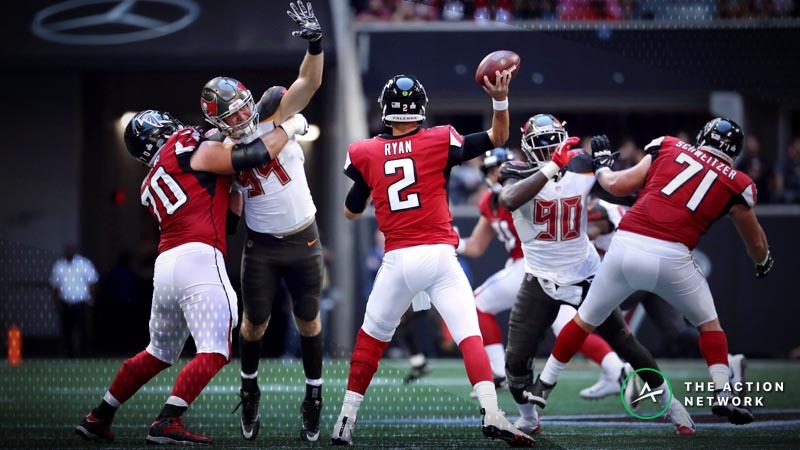 Historically, Barber has been at his best with Jameis Winston instead of Ryan Fitzpatrick, exhibiting notable quarterback-based splits as a lead back. While these splits are apparent even in the games with quarterback changes, I’ve removed such games from the sample so the trend can be better seen. Since Winston took over for Fitz against the Giants six weeks ago, Barber has scored four touchdowns. Barber has something of a mixed matchup. The Falcons are 30th in rush defense (2.6% DVOA) and have allowed a top-three mark of 31.4 DraftKings points to opposing backfields. And with their Cover 3 defense, the Falcons have funneled targets to running backs more than any other team has in each season of head coach Dan Quinn’s tenure. But the Falcons have played most of the season without middle linebacker Deion Jones. Since his Week 13 return from a foot injury suffered in the season opener, the Falcons have been a totally different defense. Plus, Barber isn’t much of a receiver: Most of the Bucs’ backfield receiving work is done by Jacquizz Rodgers. 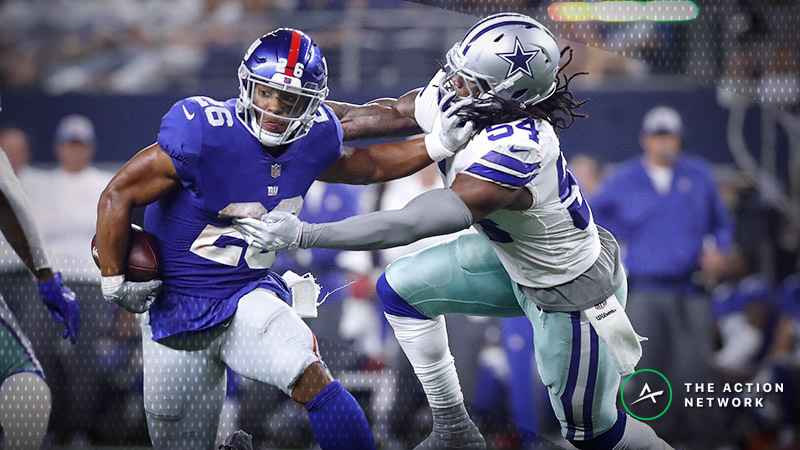 But in Week 5, Barber had what might have been his best game of the season against the Falcons, putting up 20.6 DraftKings points with a 13-82-0 rushing and 4-24-1 receiving effort. Even with the return of Jones, there’s significant potential for Barber. In his 20 games since becoming the lead back in Week 13 of last season, Barber has averaged 17.0 opportunities and 10.4 DraftKings points per game. As is the case most weeks, Barber will likely be roster-able at a low ownership rate. This is maybe the eighth week this season that Barber has been the No. 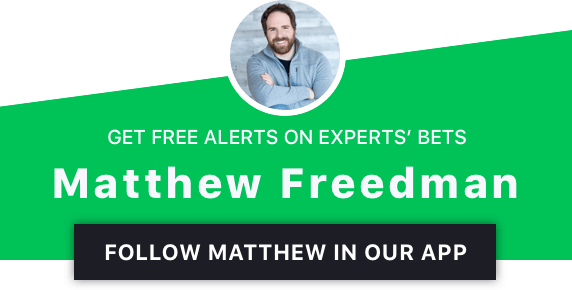 1 DraftKings back in the Freedman Model. This week I’m joined by Bales, CSURAM88, Levitan, Koerner, Raybon and SportsGeek.